Mitsubishi Motors Corporation (MMC) announced that it has delivered the first fifty i-MiEV new-generation electric vehicles (EV) out of 507 units scheduled to be provided to the Estonian government. 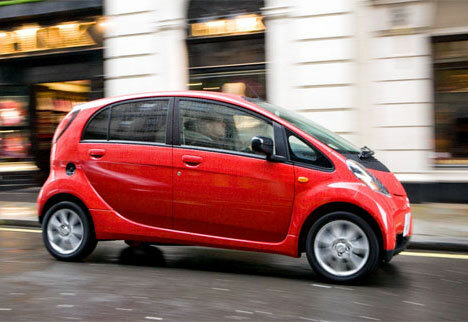 These first fifty i-MiEVs mark the beginning of delivery of the largest single order ever taken to date for the i-MiEV. On October 21 a ceremony was held in Tallinn, the capital of Estonia, for the delivery of the i-MiEVs where Mr. Andrus Ansip, the Prime Minister of Estonia and other Estonian governmental officials attended. The provision of 507 i-MiEVs to the Estonian government was concluded between Mitsubishi Corporation and the Estonian government this past March as a part of an agreement to purchase 10 million tons of emissions rights. MMC plans to complete shipment of the entire order to Estonia by the end of the 2011 fiscal year.